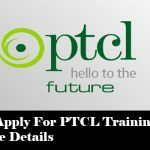 The leading cellular networks in Pakistan are all set to offer Summer Internship Programs 2017 for graduates. This Summer Jazz, Zong and Telenor will select the best talent from universities to keep them busy in Internship Programs 2017. Jazz has organized the summer internship campuses at different universities including LUMS, IBA, IMS, FAST,SEECS, GIKI, ISE etc. They will be carrying out one to one interviews right at the university campus. Jazz has not declared the final date and other details of internship program 2017. It is anticipated that they will proclaim internship details once they are done with interviews. Zong the leading 4G cellular network in Pakistan has launched the “Graduate Training Programme” with the aim to bring the young talent forward. The Graduate Training Programme is being introduced in Pakistan every year in association with China Mobile Pakistan. Zong hires the talented youth for the training session through an assessment process. Fresh graduates with following degrees are eligible to apply: BBA/MBA, Bachelors/Masters of Engineering (Telecom/Electrical/Electronics), Bachelors/Masters of Information Technology or equivalent. A candidate must have at least 2.7 CGPA or 70% marks. A candidate must have at least one year of experience. Interested candidates can apply for the Zong Graduate Trainee Program 2017 by clicking here. Telenor is also offering internship program 2017 with the duration of six months. The Telenor internship program 2017 will start in May till September. Moreover the candidates who will join the internship program 2017 by Telenor will get the salary, mobile credit and laptops.Undergraduates can also apply for the Telenor internship program 2017. Candidates should have done at least 6 semesters of their bachelor’s program or 2 semesters from their Master’s program to be considered eligible for this program. Telenor hasn’t made the official announcement for the internship program 2017, however, interested candidates can apply by clicking here.